There’s a reason the 900-plus employees at SAIF Corp. in Salem, Ore., were recently named the healthiest in the state. The company’s wellness program has evolved to encourage healthy behaviors with a variety of different incentives. Just about everyone wears a fitness tracking device at the state-chartered workers’ compensation company. And employees who move more, sit less, and track their activity can earn up to $300 a year for being active. It’s one reason SAIF Corp. earned a first place award at the Oregon Healthiest Employers event last fall. But it wasn’t always that way, says SAIF Benefits and Wellness Manager Renae Coombs. New research on wellness program incentives and behavior change suggest that it may be time to rethink the paradigm surrounding incentives. The typical scenario: motivate employees with the carrot-approach and offer cash, insurance premium discounts, gifts, and other perks. We’ve heard of employers offering bike-sharing programs, kayaking during the lunch hour, and raffle entries for participation to win big-ticket items like an all-expense paid vacation. Ask around and most people will probably tell you these things seem like sweet incentives to adopt a healthier lifestyle. But the carrot-approach might not be as effective as motivating employees with the stick. 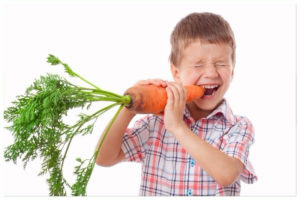 A recent study published in the Annals of Internal Medicine found that the stick-approach was a lot more effective at motivating people to be active than the typical carrot-approach. Here’s what happened. Researchers followed 281 overweight and obese people for 13 weeks. The participants were all tasked with walking at least 7,000 steps a day, measured by a pedometer, but they were incentivized in different ways. Group 1 (the carrot) – Was paid $1.40 each day for walking 7,000 steps with the potential to earn up to $42 a month. Group 2 (the stick) – Was paid $42 at the beginning of each month, but would lose $1.40 per day for failing to walk 7,000 steps. Group 3 – Earned a chance to win $5 or $50 in a lottery for walking 7,000 steps each day. Group 4 – Received a pedometer to track progress and measure results. So what happened? It shouldn’t be a big surprise that the lottery group (Group 3), and the group that only received a pedometer (Group 4) didn’t log as many steps as the other two groups. These two options didn’t provide enough carrot-or-stick incentive to get people to walk more. Handing someone a digital tracking device or offering entries to win a lottery prize may not be strong enough incentives to encourage active participation. However, the group that was paid $42 at the beginning of the month (Group 2 – the stick), hit the 7,000-steps-per-day-goal 45 percent of the time and logged more steps than any other group. Lead researcher Dr. Mitesh Patel points to a concept in psychology known as “loss aversion” to explain the behavior. The study results suggest that people are more likely to adopt healthy behaviors when the risk of losing money, or losing an incentive, is at stake. A little more than a year ago, health risk assessment data showed SAIF employees weren’t getting enough exercise. So the company refined its wellness program and incentives. It sparked some friendly office challenges, tournament-style ping pong matches, and banter about exercise, steps, and healthy eating. And now the wellness program has a 97 percent participation rate. SAIF isn’t using the stick-approach yet to motivate employees, but it’s not out of the question. The stick-approach just might work to motivate some people. But it might not be a one-size-fits-all approach to creating wellness program incentives. In fact, it might have the opposite effect and make some people feel like you’re threatening them by taking away an incentive like cash or premium discounts. So how do you figure out what will motivate your population to adopt healthier habits? Get to know your population. A health risk assessment, activity tracking, health challenges, and other initiatives will help you understand what works and what doesn’t to increase participation. If you want to better understand your population, biometric screenings and health risk assessment data can help. This population health data can help you choose incentives and focus resources by knowing the health status of your population and their readiness to change. What incentives have worked to increase wellness program participation in your organization? We’d love to hear from you. Share your success stories with us on LinkedIn or email us at well@www.wellsource.com.